How do you help learners move from theoretical knowledge to solid clinical skills? 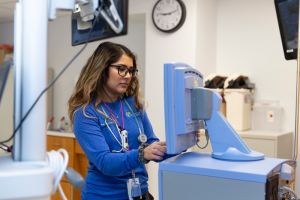 One way is to incorporate hands-on simulation into your training program as they have at Nationwide Children’s Hospital in Ohio. 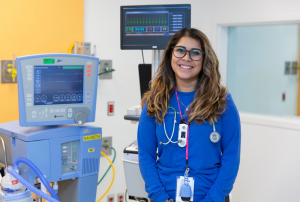 According to Bianca, respiratory simulation training is essential because hands-on experience is better than relying only on text books and lectures. A second area where the ASL 5000 comes into play is annual competency certification. The hospital requires its respiratory therapists to pass an annual competency test on respiratory equipment, including ventilators. Bianca says that using the ASL 5000 is great for the competency certification because the therapists can actually see changes happening on the ventilator and make the correct adjustments. The ASL 5000 can also be set up to run the competency test automatically. Note: If you intend to use the ASL 5000 for training, we recommend our offerings with software designed specifically for educators: the RespiSim System or the ASL 5000 Lung Solution for the SimMan Platform. These systems also offer manikins.